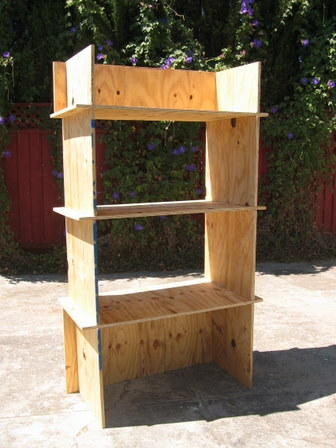 Generally we prefer form over function, and to be perfectly honest, you can probably buy stronger shelves at IKEA or OSH for less than you’ll pay to build these yourself. 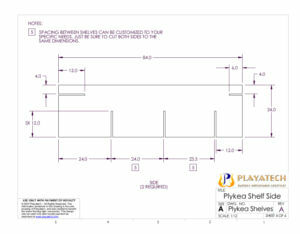 So, why would any sane burner build Plykea shelves? 1) Because there are no sane burners. 2) Because any dollar to IKEA supports commodification instead of art. 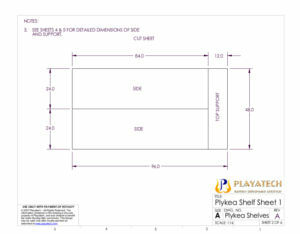 3) Because plywood is way more earth-friendly than plastic! 4) Because we don’t pay our workers slave wages. 5) Because we eliminate all packaging MOOP so you don’t have to. 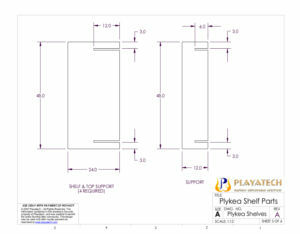 6) Because our stuff assembles and disassembles without tools. 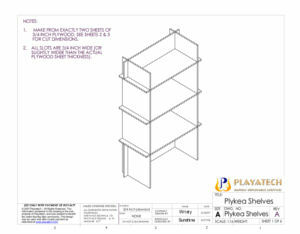 7) Because no other shelving system will match the rest of your playa furniture so perfectly! 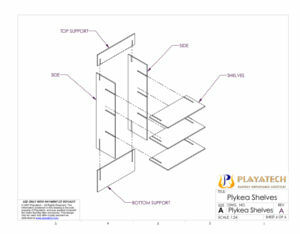 Each 8 foot tall, 4 foot wide, 2 foot deep shelf unit containing 4 shelves can be made in a few minutes from 2 sheets of ½” ply. It will hold a lot of gear but not a ton. 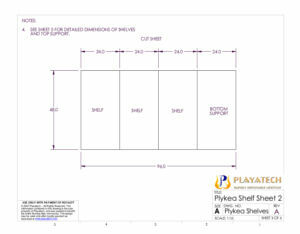 We’re almost embarrassed at how obvious they are, so we offer them at just ½ the usual royalty – that’s right, you can build a Plykea Shelf for $5. 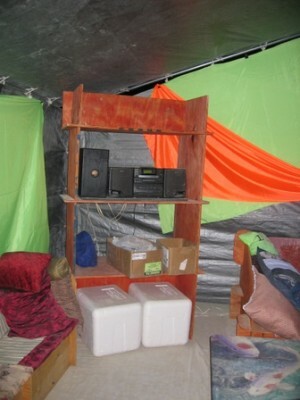 Only $2.50/sheet, even less than the cost of BM’s porta-potties.